I enjoyed reading Sly Arena's first impressions of Canon's New Speedlite 600EX-RT & Speedlite Transmitter ST-E3-RT. But then I calculated the costs. 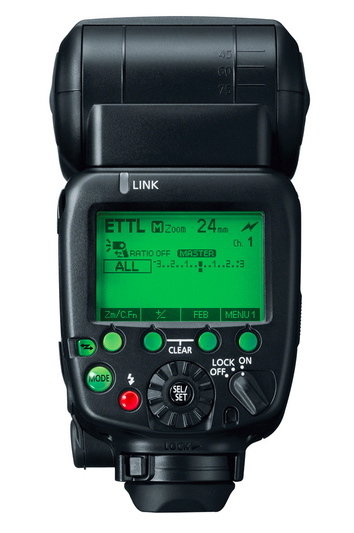 The 600EX-RT flash can be preordered for $629 from B&H, plus the Speedlite Transmitter ST-E3-RT will run you another $319. Add shipping and the tax we're supposed to pay at the end of the year, and you have a $1,000 flash and trigger system. As David Hobby wrote on his Strobist site: "Official price for the Canon 600EX-RT speedlite was set at: 1 Paul Buff 640WS Einstein + 8" hi-output reflector + 2-grid set + 64" soft silver PLM + 64" diffusion fabric." Its certainly not cheap, but apples to apples, its certainly not out of line with the equally reliable alternatives with comparable functionality. You make great points, Steve. And I think you bring a professional perspective to this conversation. Appreciate your words here. What's interesting to me, is that if you shoot with a 5D Mark II or 5D Mark III, both popular portrait cameras, your options are much more expensive than say with the 60D, which has a built-in optical flash transmitter. And quite honestly, I'm still feeling that all of the recent gear announced by Canon (24-70 II, 5D Mark III, 620 EX) is priced a bit high for the current market. But that's what makes economics what it is, right? I vote with my credit card.